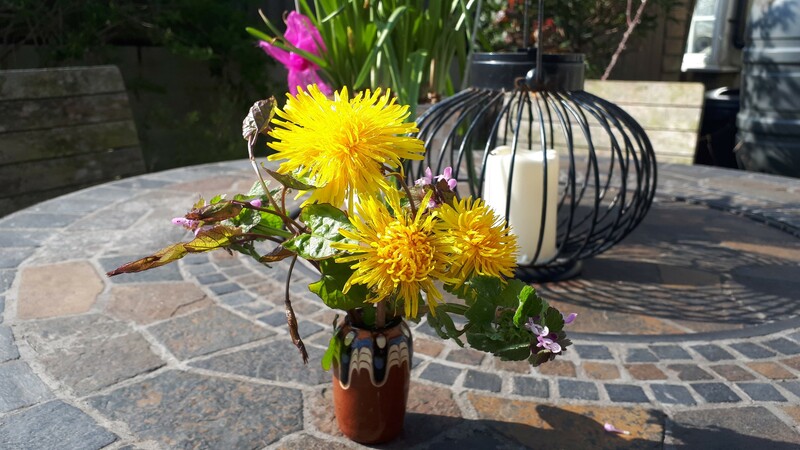 Each week, gardeners share their best blooms ‘in a vase on Monday’ with Cathy at Rambling in the garden. 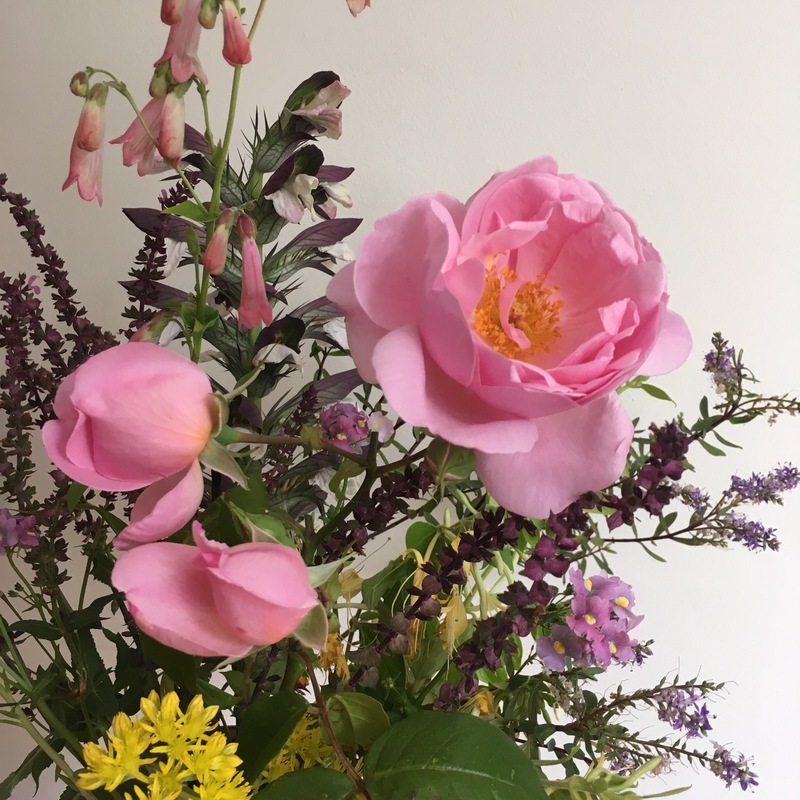 My contribution this week, and also today’s bouquet #69, is called ‘Blooming lovely’ and features roses, acanthus, hebe, salvia, honeysuckle, nemisia, and yellow stonecrop sedum. 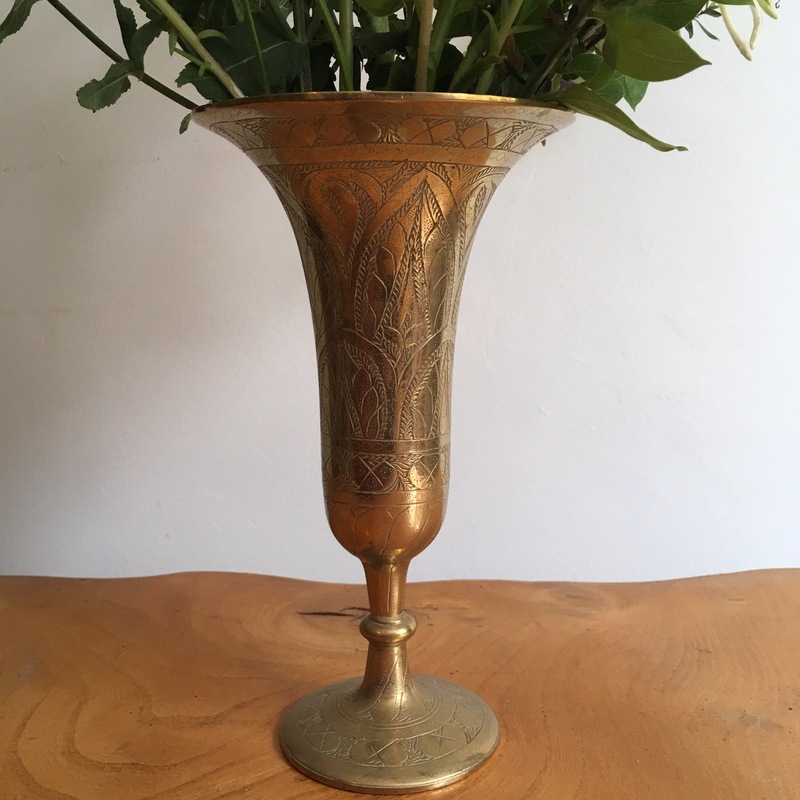 It’s in a brass trumpet shaped vase that I picked up at the Frome flea market last week. The roses are of an unknown variety from a well established climber. 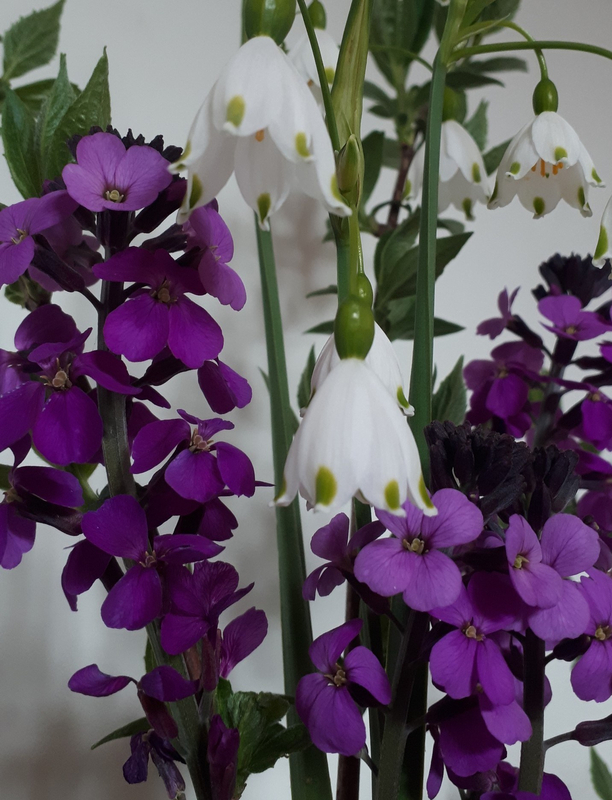 These beautiful flowers were right at the top, requiring a step-ladder and long loppers, but very much worth the stretch! 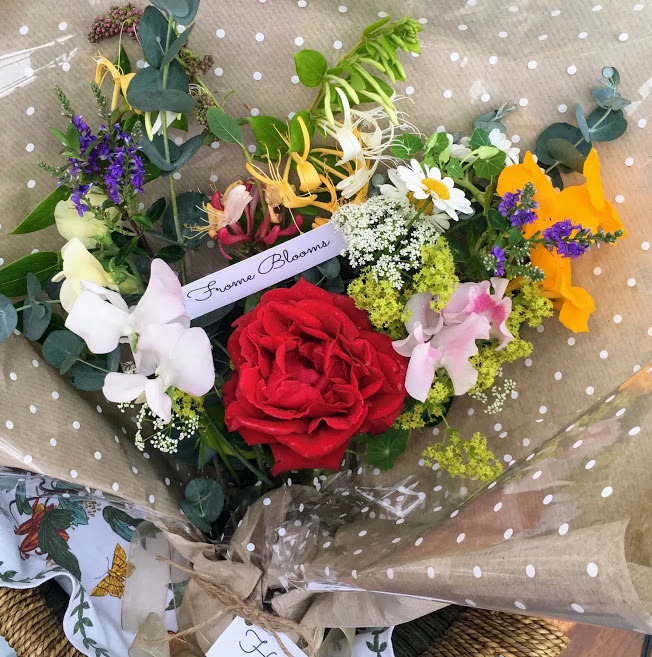 If you have a moment to pick a few flowers this Monday it’s a great way to start the week! 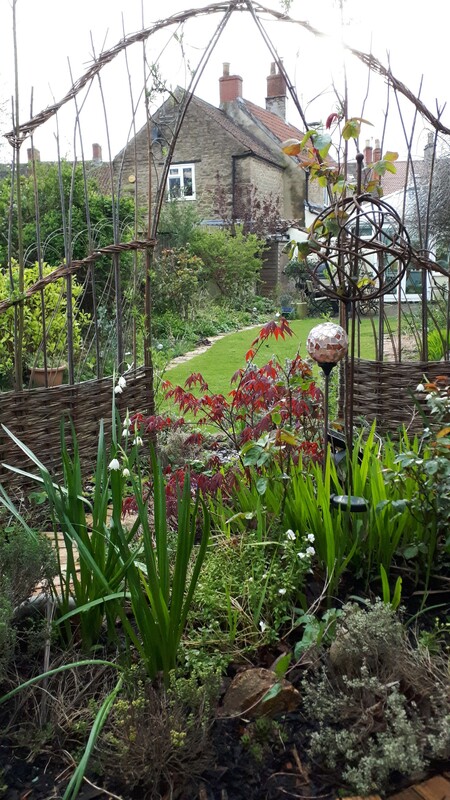 And pop over to Cathy’s blog to see what’s on show this week. Beautiful. That’s a nice strong pink color in the rose. The vase is interesting too. Is it a continuous flowering rose? It’s certainly a good strong pink, as Susie says – and I like the way the hint of pink in the acanthus links to the other blooms. Having a vase with a splayed neck like this is very useful although I have few this shape. Thanks for sharing. 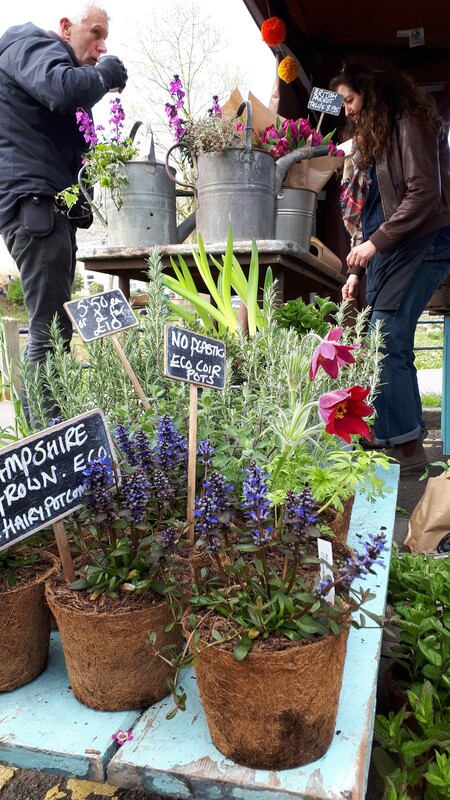 Were you at the market at the w/e? If so, how did it go? Oh that’s good to know – well done. And are you getting repeat customers? What a lovely rose and the penstemon suits it, too. 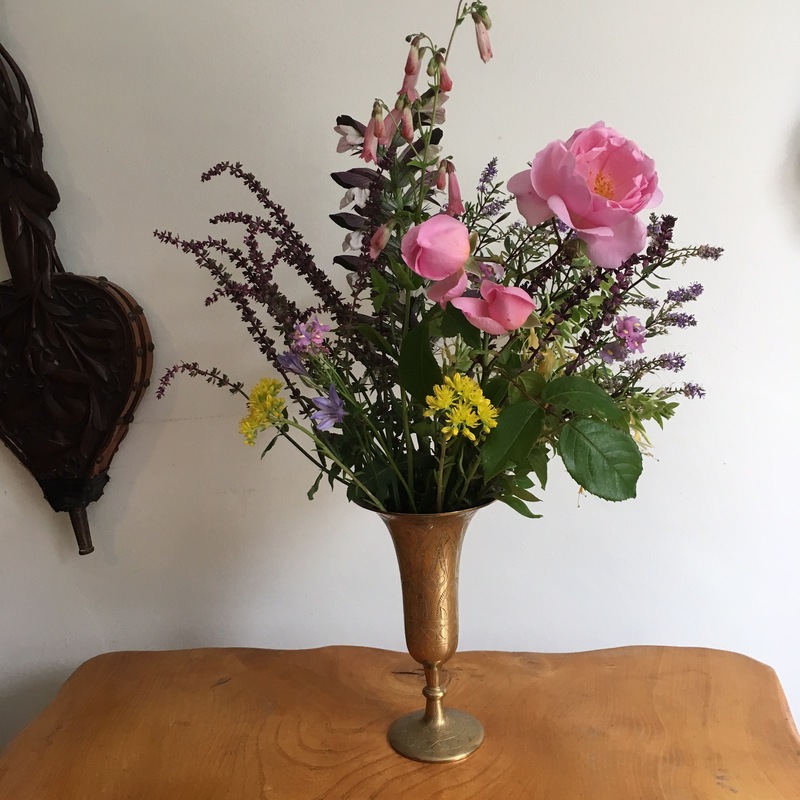 Great find with that brass vase! That’s a charming rose and its companions accent it beautifully!